Jenna Robins BSc Hons, founder of the Karma Clinic website, aims to treat her patients and clients via an intergrated multi method approach, applying Traditional Chinese Medicine (TCM) Acupuncture, Deep Tissue Massage, Cupping, Moxa, Acu-kinesio taping and 100% pure eco friendly seaweed products to achieve positive results for patients resulting in optimum health and well being! Karma is a Sanskrit word meaning; The intent and actions of an individual will influence the future of that individual. Buddhists explain karma as a mortal natural impersonal law of cause and effect. The totality of our actions can help determine our body's homeostasis, our health and our planets health. It makes sense to try and practice good karma! 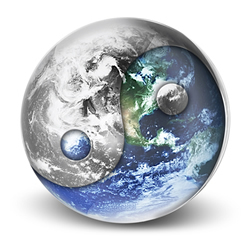 Ancient Chinese philosophy embraced the balance of Yin Yang balance of man, the planet and the universe thousands of years ago! TCM Acupuncture was developed to help the body find balance & homeostasis (Yin & Yang) of all systems in mind and body. TCM Acupuncture treatment will harnessing your Qi (CHI is your vital energy) resulting in good health wellbeing and positive karma! Kind regards & good health! Karma Clinic's purpose is to provide you with high quality products which are completely natural, not tested on animals and free from synthetic ingredients and harmful chemicals. I, Jenna Robins, founder of Karma Clinic, want to provide you with naturally active plant based products, using all my knowledge and experience of researching and making herbal cosmetics. As I have worked as a professional therapist in a clinical environment within the medical profession and the complementary health industry for 20 years, I know you can benefit from the amazing active plant ingredients in Karma Clinic products. Planet earth provides us with medicinal plants from our ocean and soil, such as sea vegetables, seaweeds, medicinal herbs, plants, flowers and trees. 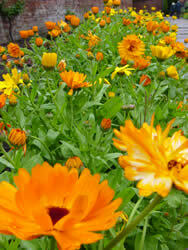 Mother Nature provides us with truly amazing medicinal plant life. 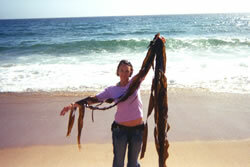 Karma Clinic's seaweed products are hand harvested, thus protecting the oceans equilibrium and environment. I intend to always use, hand harvested seaweed and wild crafted or organic plants, thus respecting the planet and providing you with chemical free products. I will also make sure that the practice of Karma Clinic will respect the environment where possible by recycling and using minimal packaging. Karma Clinic encourages you to recycle where possible and reuse all our provided packaging.